Should states use military force for humanitarian purposes? What are the challenges to international society posed by humanitarian intervention in a post-September 11th world? This path-breaking work brings together well-known scholars of law, philosophy, and international relations, together with practitioners who have been actively engaged in intervention during the past decade. Together, this team provides practical and theoretical answers to one of the mostburning issues of our day. Case studies include Somalia, Rwanda, the Balkans, and East Timor, as well as the recent US intervention in Afghanistan. 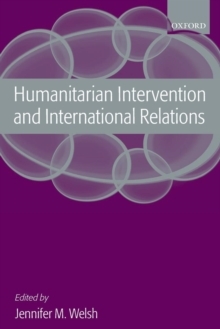 The book demonstrates why humanitarian intervention continues to be a controversial issue not only for the United Nations but also for Western states andhumanitarian organizations.